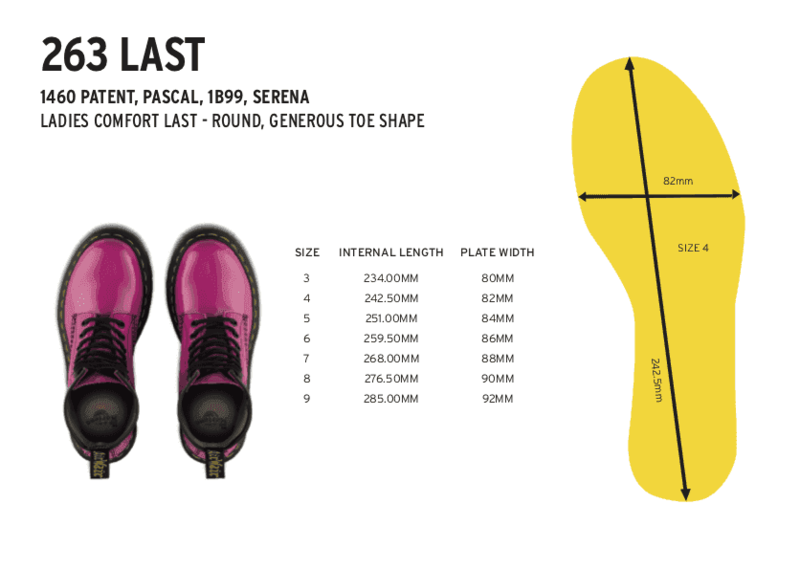 The 1460 Pascal is an 8-eye silhouette based on the original Dr. Martens boot. The boot's iconic DNA looks like this: 8-eyes, an air-cushioned sole with grooved edges, yellow welt stitching and a heel-loop. The only difference here? No binding at the collar. This 1460 Pascal is the result of our ongoing artist series with Tate London, featuring artwork by London's "Painter of Light": Joseph Mallord William Turner. One of the world's greatest Romanticist landscape painters, he was a controversial figure in his day. Ever an eccentric and living always by his own rules, he was a true original — and embodies the spirit of Dr. Martens. Here, we've featured The Decline of the Carthaginian Empire (c.1817) – using a crackled, textured leather that gives the effect of a real painted canvas.